Poki, a third party pocket client app is heading to a Windows PC near you very soon. 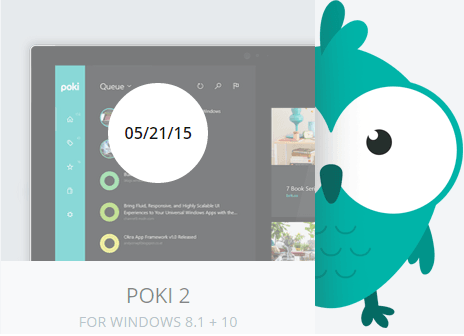 As announced by the developers on the Official Website, both the Windows 8.1 as well as Windows 10 version of Poki will be available for download from 21st May. A pocket app lets you take content with you no matter where you are headed to. Whenever you come across an interesting piece of text, an article, a webpage or any reading matter such as a video lecture, you simply put it into your pocket to check out things later. It eliminates the need to bookmark favorite websites or send yourself links. 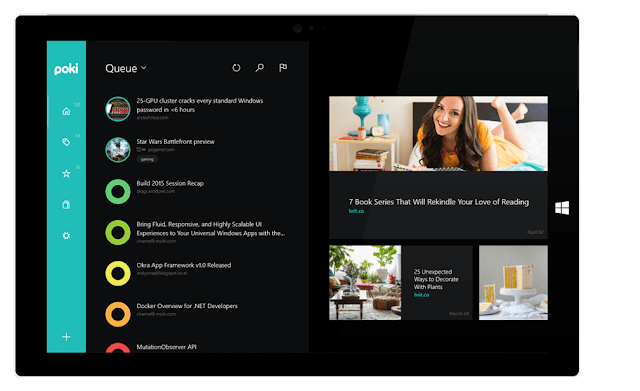 Poki is the most beautiful and well designed pocket client available on Windows platform, with a unique reading experience. The Windows Phone version is already available, and you can download it free from the Windows Phone Store. Do anyone of our readers use Poki ? If yes, are you excited about the Windows version ? Do tell us in the comments below.